This problem is caused when the email address has been pasted into to the to: field with the mailto: portion still intact. 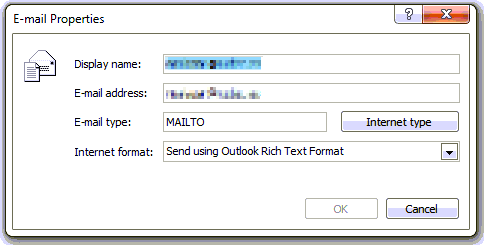 As in the picture the “E-mail type:” is set to MAILTO. Clicking on the Internet type button will reset it back to SMTP and should be able to send the message. Sometimes the incorrect address can also get cached into your NK2 file, so you will need to remove it from your autocomplete cache to make sure that you don’t get the problem again. Dell OpenManage Server Administrator has the facility to execute an application when a fault is detected in the hardware, and this can be used to trigger an email to alert an administrator. Many years ago I posted a script written in VBScript which enables email alerts from Dell OMSA without the need for IT Assistant. This script has proved to be very popular, but a number of users have not been able to make it work because it depends on CDO, which is not included in Windows Server Core. 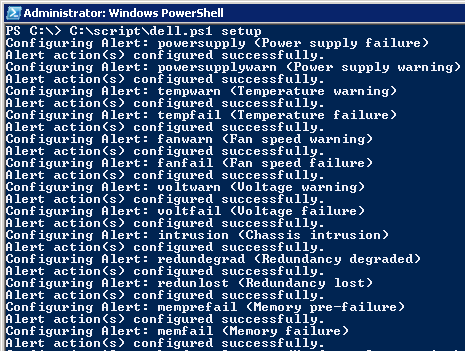 So, I have rewritten the script in Powershell and it should now work on any system which has Powershell installed. Included in the download are both the VBScript original and the new PowerShell version. If you do not specify an SMTP Server, it will default to using the locally installed SMTP server. Check your email, if everything is working properly you should have received a test alert. Pop the side off the server casing, this will generate a chassis intrusion alert. If you have a dual power supply system you can pull the power to one of the supplies and the server should report the power loss. 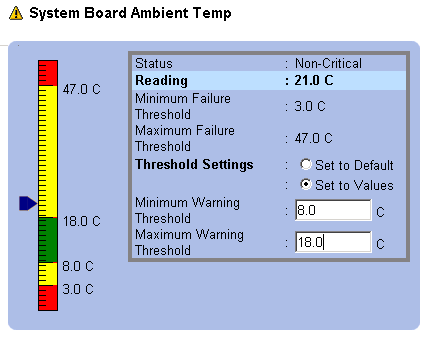 Set the warning threshold to be a couple of degrees lower than your current reading to generate an alert. HP Direct PDF printing is a great cross platform driverless printing mechanism which I have used for a number of customers with great results. A common problem with Direct PDF printing is that it is not possible to include any printer control commands such as tray calls within the PDF and lots of people have been asking how to do this – I checked with HP Technical support and was told it is not possible. @PJL JOB NAME = "paultest2.pdf" DISPLAY = "Printing & Stapling paultest2.pdf"
@PJL EOJ NAME = "paultest2.pdf"
In this example the two PDFs are also being stapled together and the status display on the printer is also updated to show what document is being printed. In production I am doing all of the PJL wrapping via a korn shell script which I’ve tested from IBM AIX, Ubuntu and Sco Openserver 5.0.7.